Easy to Make Shepherd's Pie With Hamburger | Only 4 Ingredients!!! 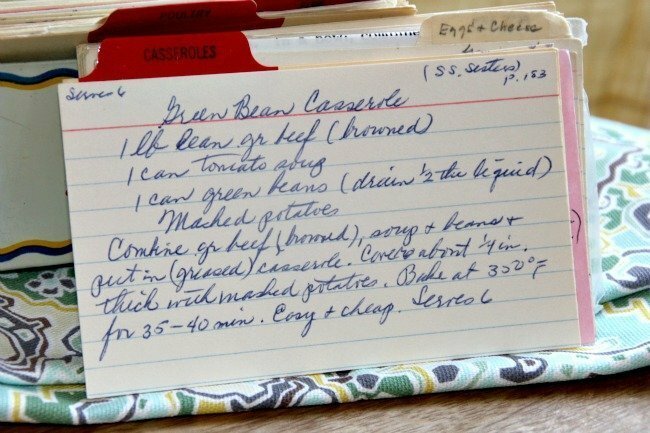 When I saw the title to the recipe I assumed it would be a classic recipe for a green bean casserole normally served over the holidays. 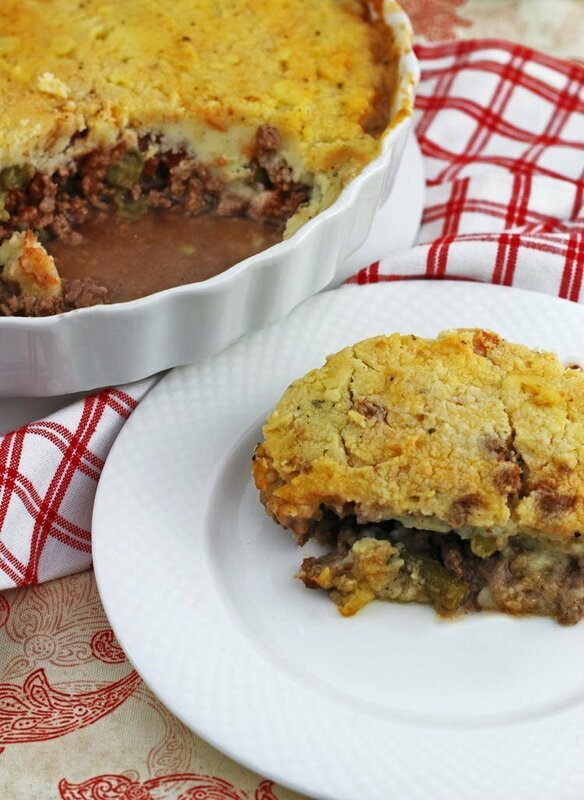 Even though this recipe uses hamburger versus lamb, I renamed the recipe to Shepherd’s Pie with Hamburger so that is more descriptive of what the recipe actually is. Since my kids don’t eat beef, I created an Easy Chicken Shepherd’s Pie that they really enjoy. 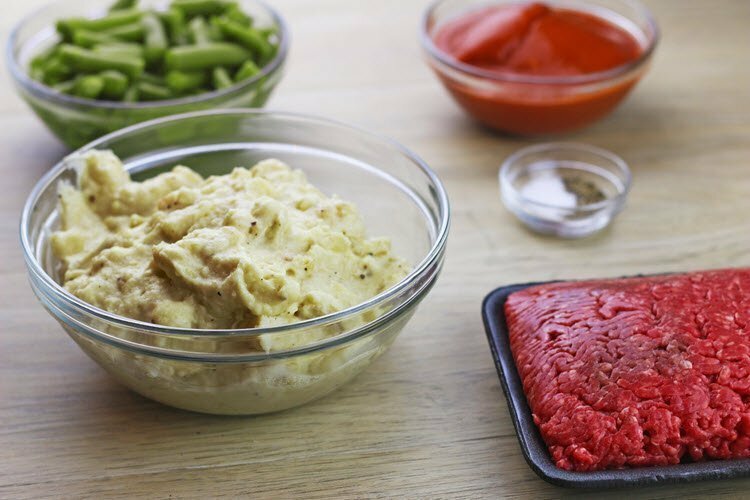 If you make this recipe for Shepherd’s Pie with Hamburger, consider one of our Bread Recipes finish off your homecooked meal. While it’s not a “pretty” dish to look at, it is very easy to make with only 4 ingredients and cheap to make too! Below you will find the ORGINAL recipe and then the UPDATED recipe at the bottom of the post. NOTE: Depending on the casserole dish you use, there is a likelihood that the casserole will boil over and make a huge mess of your oven so place it on a baking sheet for easier cleanup. Shepherd’s pie or cottage pie is a meat pie with a crust or topping of mashed potato. The recipe has many variations, but the defining ingredients are minced red meat (commonly, “cottage pie” refers to beef and “shepherd’s pie” to lamb), cooked in a gravy or sauce with onions and sometimes other vegetables, such as peas, celery or carrots, and topped with a layer of mashed potato before it is baked. The pie is sometimes also topped with grated cheese to create a layer of melted cheese on top. Front of the recipe card for Shepherd’s Pie With Hamburger. There is a notation that the recipe is from SS Sisters, page 163. 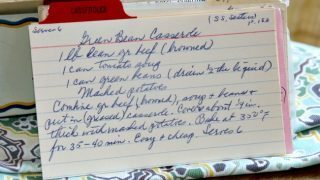 There are lots of fun recipes to read in the box this recipe for Shepherd’s Pie With Hamburger was with. Click here to view all of VRP004 – White Tin Box With Hearts & Flowers recipes. 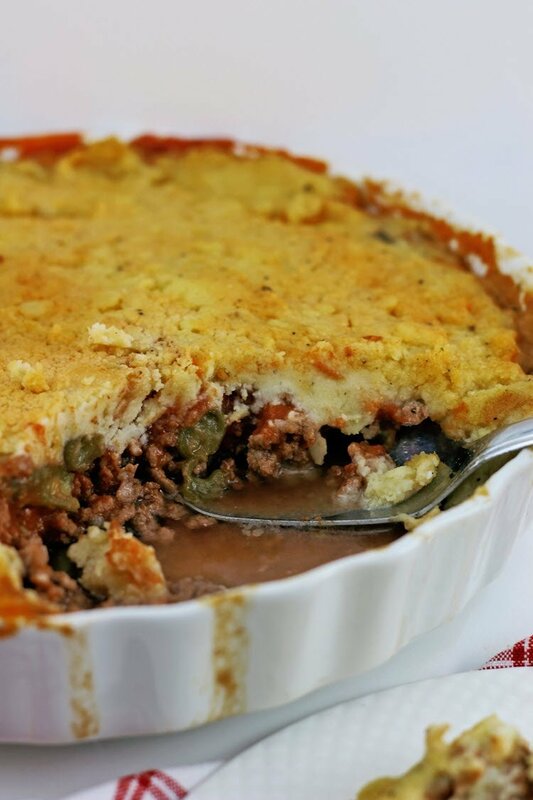 Use the links below to view other recipes similar to this Shepherd’s Pie With Hamburger recipe. 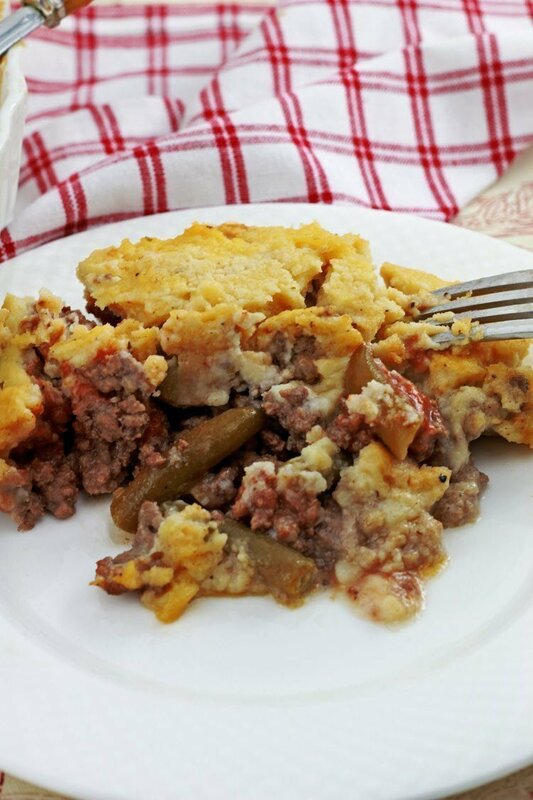 If you make this Shepherd’s Pie With Hamburger recipe, please share your photos and comments below! This is the original recipe before I modified it a smidge. "Easy and Cheap" is what the orginal owner said about this recipe. This is the modified recipe with a slight change of adding seasoning and rewriting the instructions. Add the hamburger meat to a mixing bowl. Add the salt and pepper to the hamburger and mix well.